Yesterday, we talked about Bazaar – an alternate apps/tweaks distribution platform for Windows Phone 7 (dubbed as the Cydia of WP7) – and today, we will be talking about Themes – a theming platform for Windows Phone 7 (which we would like to dub as the WinterBoard of WP7). Details after the jump! News of the theming platform comes straight from its developers i.e. the folks behind popular WP7 hacks-related website Windows Phone Hacker. 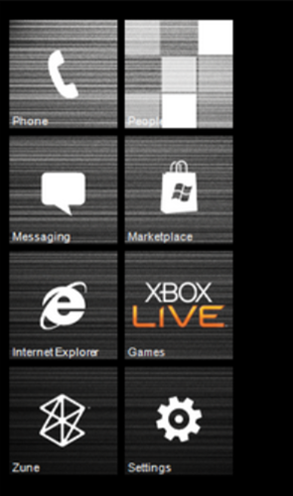 UI customization on Windows Phone 7 is, as any smartphone enthusiast would know, very limited. Besides changing the lockscreen wallpaper and changing the color of tiles, there isn’t a whole lot you can do to customize the look for your Windows Phone 7 device. Starting today, however, users will be able to customize any tile, use a background image for tiles as well as import/export themes (so that enthusiasts can try out each other’s setups) to give their device a unique look. This certainly isn’t as comprehensive as WinterBoard for iOS, but it’s getting there. There is one important pre-requisite, of course: you will need to have a developer-unlocked device. You can unlock Windows Phone 7 using ChevronWP7 for just $9 which allows you to sideload apps like Themes. Windows Phone 7 was initially a very limited mobile operating system, but with the release of Windows Phone 7.5 Mango and exciting workarounds/apps/tweaks like today’s Themes, we really think it is fast-becoming a pretty viable alternative to Android/iOS, especially for power users. Once you try it out, be sure to let us know what you think of it in the comments section over on our Facebook page.